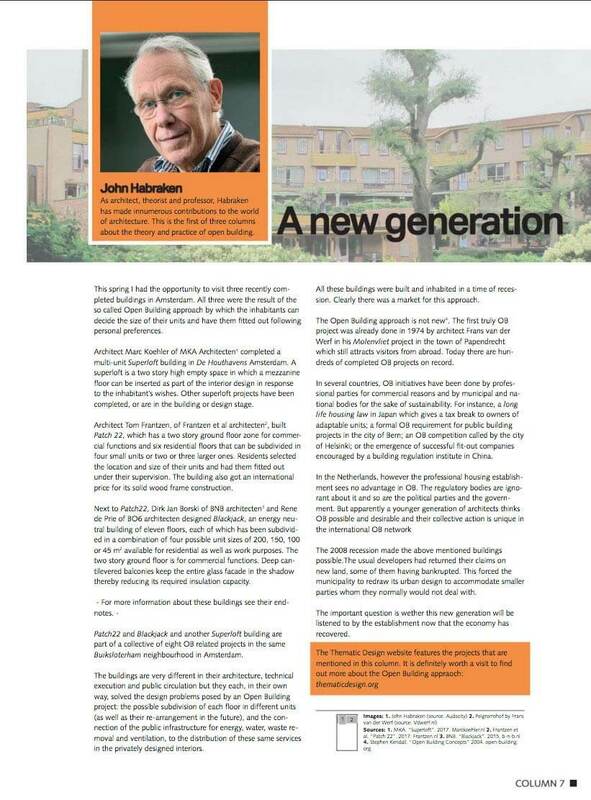 In the latest issue of Chepos Magazine, Habraken writes about the new generation of designers and builders. Habraken who for many is an inspiration in the field of innovative design, partly because of his ideas about open building and people, cites Superlofts in this article as an example of this innovative way of development. The fact that the Superlofts concept is not only successful in the Netherlands is shown by the new collaborations with parties from different countries abroad. Visit thematicdesign.org for more articles from Habraken.